Dispelling the myths of dyslexia and revealing the talents within. 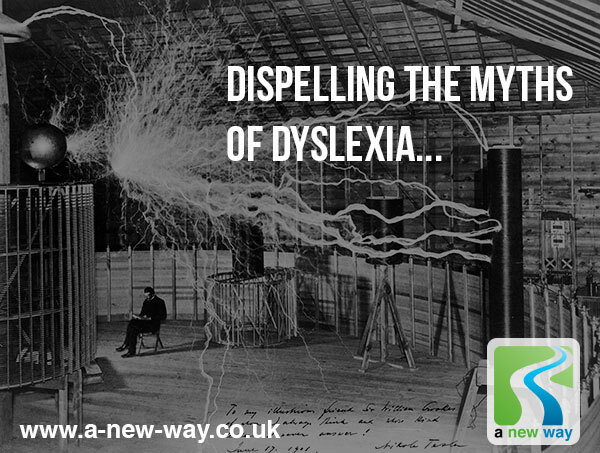 Having worked with more dyslexic individuals than I can count (the total must reach into four figures by now), I am still amazed to hear that so many myths and misconceptions abound about dyslexia and its related forms. All dyslexics have problems with reading, writing and spelling. Dyslexics are stupid, unintelligent and have low IQs. When writing, they get their Bs, Ds, Ps and Qs the wrong way round. Dyslexia is a disease and you can catch it. All dyslexics are learning disabled. I have obviously been missing a trick here. There might be a modicum of truth in a couple of these statements; the others can only be described as works of pure fiction. Problems with reading, writing… Dyslexics don’t have problems with these – what they do have problems with are the ways they are taught to do these things. Dyslexics are stupid, unintelligent… Just like everyone else, not all dyslexics will be rocket scientists, great inventors or have IQs of 146 (although I have worked with many dyslexic clients who have IQs I can only dream of possessing). When writing, they get their Bs, Ds… Some dyslexics have the ability to do this, but not every dyslexic will use this ability. Dyslexia is a disease and you can catch it… Sadly there are some individuals who actually believe this! Enough said. All dyslexics are learning disabled… This has to be my favourite misconception. Of all the thousands of bright, intelligent and highly creative dyslexic individuals that I have worked with, I never realised they were learning disabled. How did I miss it? Having listed some of the misconceptions, now let’s look at some of the facts. They can utilise the brain’s ability to alter and create perceptions – they are 3D thinkers. (This unique talent is often not recognised by dyslexics). They think and perceive multi-dimensionally, using all the senses – 3D thinking. They have vivid imaginations – good problems solvers. They are highly intuitive – know when someone is not telling the truth. They can experience thought as reality – disorientation. They are highly aware of the environment – they take information in visually. They think mainly in pictures/images, rather than using the sound of words. Dyslexia is just a different thinking/learning style. So what is the great advantage of being able to think in 3D and have a vivid imagination? Being an avid surfer of the Internet, I came across an interesting piece on the BBC website about a campaign to restore Nikola Tesla’s old laboratory in New York. For those of you who may never have heard of Nikola Tesla: he was the inventor of AC (alternating current), which is the electrical system that powers almost every house/building on this planet. Had it not been for Tesla and his pioneering experiments, then you would no doubt be reading this article on your computer by candle light! 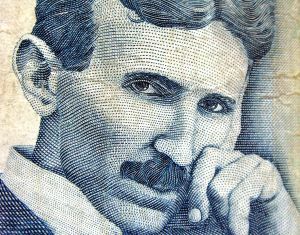 It is not clear as to whether Tesla was dyslexic or not, but he did possess many of the talents shared by those with the dyslexic thinking/learning style. Using his vivid imagination and ability to think in 3D, Tesla would ‘build’ his prototype machines, test and run them, pull them apart to check for wear and tear, reassemble them – not in real life, but in his head. Only when he was satisfied that they would actually work, would he finally construct his machines for real. Needless to say, they did all work perfectly first and every time. Here is a quote from the great man himself.